INDUSTRY.co.id - Jakarta - In today's digital era as it is today, it must be supported by the availability of a lot of quota on internet data packets. Not to mention, it has become an XL customer requirement. To facilitate the customers, PT. 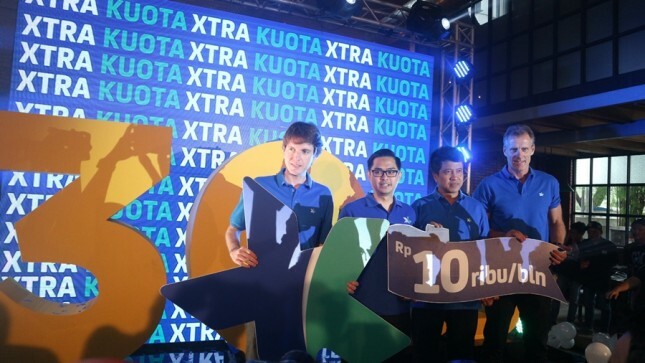 XL Axiata Tbk (XL Axiata) has just launched its newest product Xtra Quota 30GB with tariff Rp10 per month yesterday (22/1). Product Xtra Quota 30GB, the additional quota of 30G is able to enjoy the product 30GB Rp10 per month, the customer must activate the XL Xtra Combo internet data package. The Xtra Combo package can also be enjoyed on all networks like 2G, 3G and 4G. "The Quota Xtra Package is the best solution we offer for the high demand for data quota by customers. We realize, with the wider range of quality data services, including 4G LTE and 4.5G, it will further increase the utilization of data services by the community. This is what drives demand for data quota continues to increase," said Director of Commercial XL Axiata, Allan Bonke at the press conference, yesterday (22/1). After activating the Xtra Combo internet data packet, customers can then add quotas with the Xtra Quota package with a quota of 30GB for Rp10 for 30 days.